It’s time for a tradition like no other! Each week, our very own Jeff Wickerham takes the time to highlight a specific promotional product that he thinks YOU should know about! Do you want to show your customer or client a great year end gift? 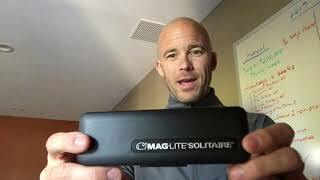 Check out this week’s pick the Mag-Lite Solitaire w/ Multi Function Mini Tool. This nicely packaged custom piece comes with a mini flashlight with your logo and a multi tool. A great way to say thank you to your customer, client, or board member. If you need more information let us know and don’t forget to sign up for our VIP Newsletter here. 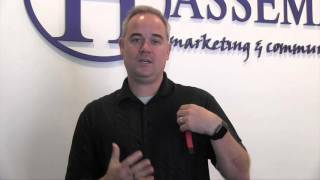 This week for the Hasseman Marketing Perfect Promo, we take a look at the Pocket Work Flashlight. This is a great items that can be “perfect” for your next promo campaign. Take a look at this short video! So what is it about this product that makes it work? Oh let us count the reasons! First of all, the Pocket Work Flashlight is a great size. This functional flashlight can fit in your pocket (obviously) or your pocket book. This size makes it something you can have with you when you really need it. Second, it’s BRIGHT! There is no point in a flashlight that doesn’t really work. This one is full of LED brightness. So if you have a job to do, this little number will help you get it done. Finally, this item offers a great imprint area. If you need to showcase your logo in full color, the Pocket Work Flashlight has that option as well. Oh, and did we mention it’s all for under $10? So if you want more information, please let your Hasseman Marketing sales team know. They can hook you up. Or you can go online here to learn more. Thanks for checking out this week’s Perfect Promo! Want to keep up all the time? Make sure to join our VIP List! Our VIP’s get an email with the latest content…and other special offers as well. Join here.